Just like a Quick-Release Wire Lock Pin, this fastener is like having a pin and cotter in one secure assembly. 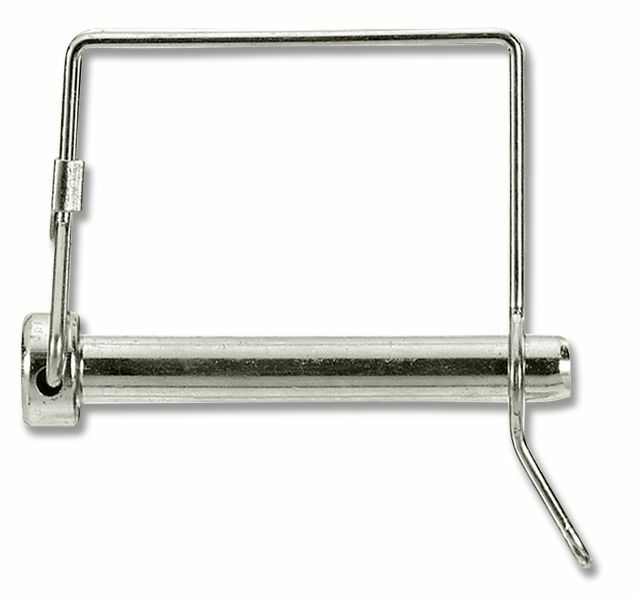 Quick-Release Tab Lock Pins are even easier to use than standard wire lock pins! 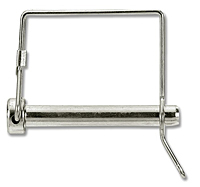 Tab Lock Pins are similar to a Quick-Release Wire Lock Pin but feature a formed “tab” to allow for easy removal. These quick locking pins do not require cotter pins and are faster to use than clevis pins and cotters. Pull up on tab to remove, push down on wire loop to lock. Tab acts as a load ramp which guides wire loop to a locked position when installing. 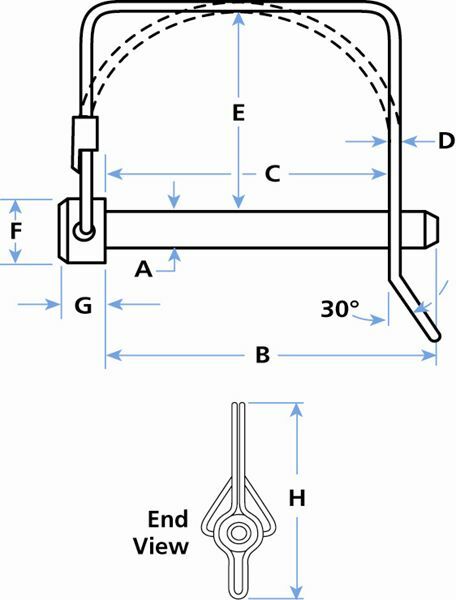 Quick-Release Tab Lock Pins and Quick-Release Wire Lock Pins are also known as PTO Pins, Hitch Pins, Snapper Pins and Quick Pins. Steel Lanyards or Nylon Lanyards may be added as a low cost tether to prevent loss. Just like a Wire Lock Pin, this fastener is like having a pin and cotter in one secure assembly. 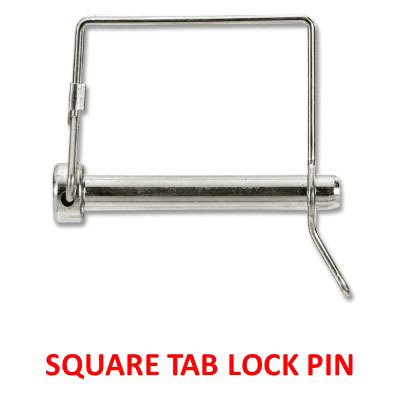 Tab Lock Pins are even easier to use than standard wire lock pins! 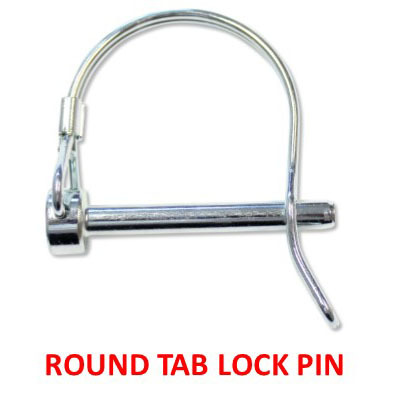 Tab Lock Pins are similar to a Wire Lock Pin but feature a formed “tab” to allow for easy removal. These quick locking pins do not require cotter pins and are faster to use than clevis pins and cotters. Pull up on tab to remove, push down on wire loop to lock. Tab acts as a load ramp which guides wire loop to a locked position when installing. 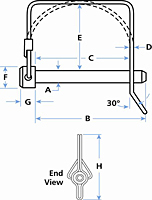 Tab Lock Pins and Wire Lock Pins are also known as PTO Pins, Hitch Pins, Snapper Pins and Quick Pins. Steel Lanyards or Nylon Lanyards may be added as a low cost tether to prevent loss.